1. 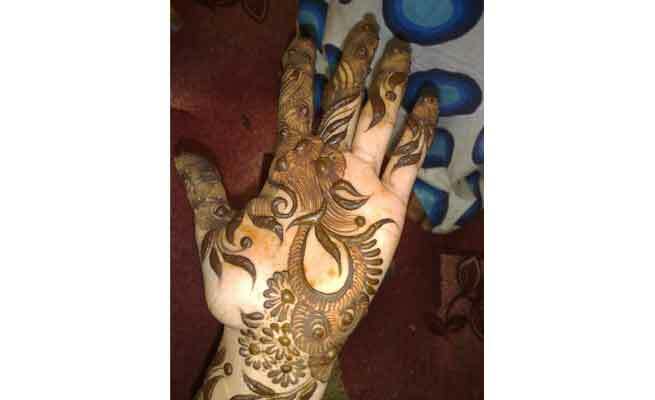 Fish design strikingly complements the floral pattern in this bridal mehndi design. 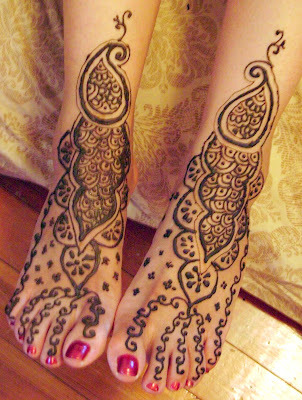 Its larger motifs will awesomely cover full hand and full leg of a bride. 2. 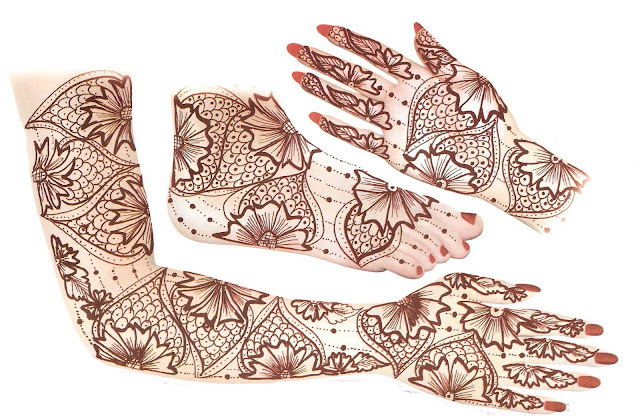 Arabian motifs and Rajasthani pattern… This bridal henna is awe-inspiring in its simple tone. 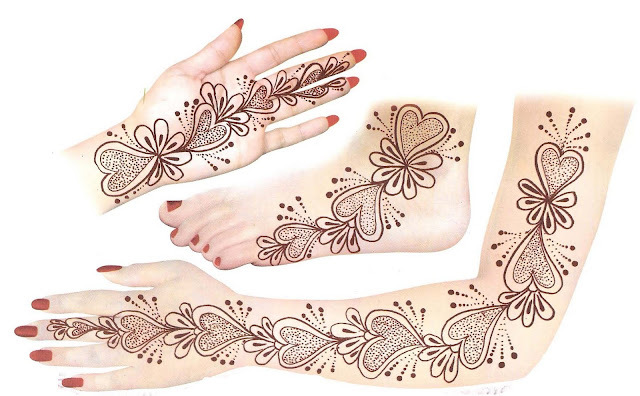 Wear a pretty pair of stilettos to make this henna pattern lovelier. 3. Did you ever think that a mix of floral pattern, dots and hearts can create a charismatic design. 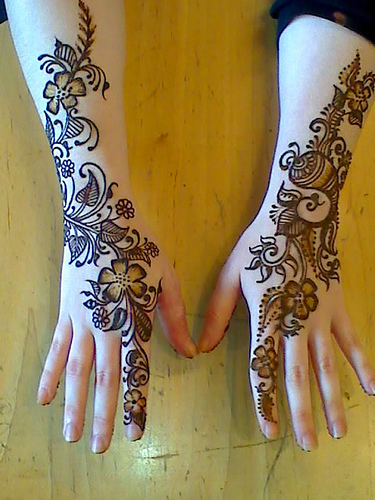 This henna pattern is too simple to make but its beauty is not hampered by its simplicity. 4. In your marriage, people won’t only adore your facial charm. They’ll look at you from top to bottom. 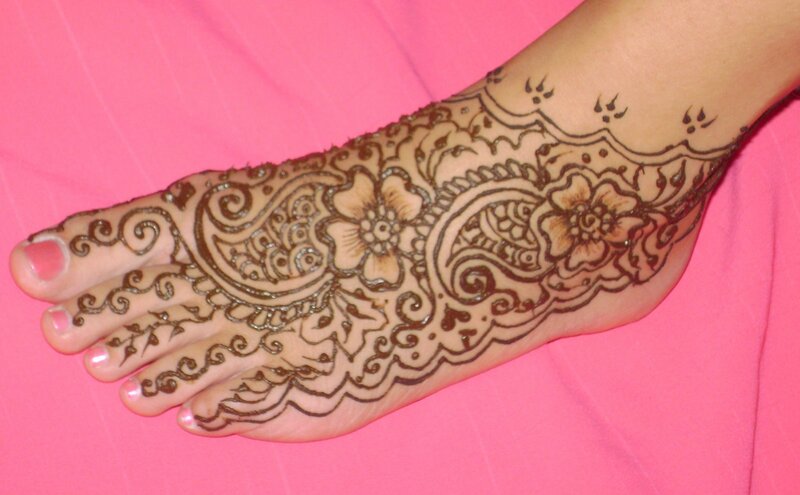 Thus, this pretty henna pattern is a must for beauty of your feet. 5. The sign of paisley denotes almost every auspicious occasion in India. 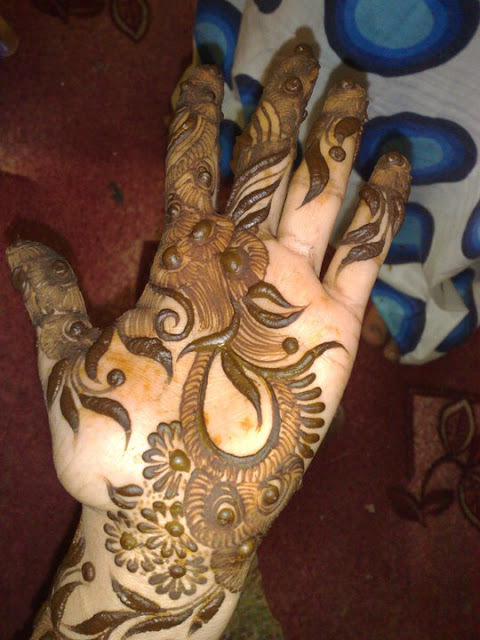 Therefore, bridal mehndi includes a lot of paisley motifs. This is easy to make and very attractive. 6. 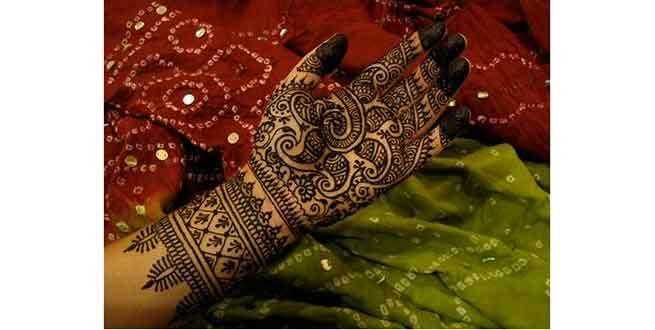 According to Indian culture, a new bride brings prosperity to her husband’s house with her first step. 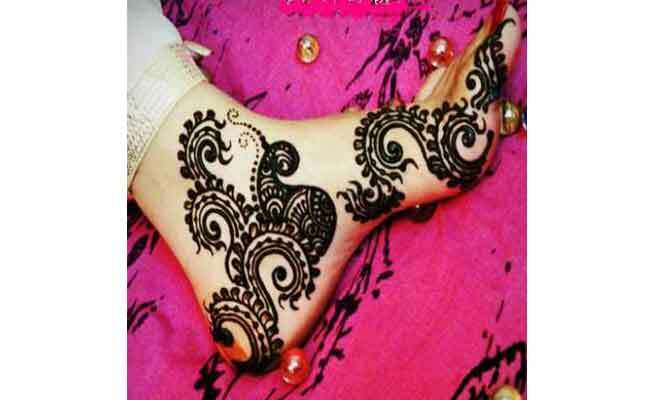 Make your first step a catchy moment for camera and people’s eye with this henna pattern on your feet. 7. 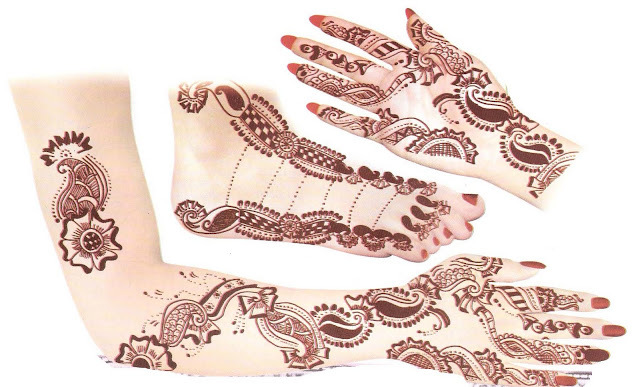 A combination of Marwari chess-board henna pattern and Arabic motifs brings out a great bridal henna pattern. 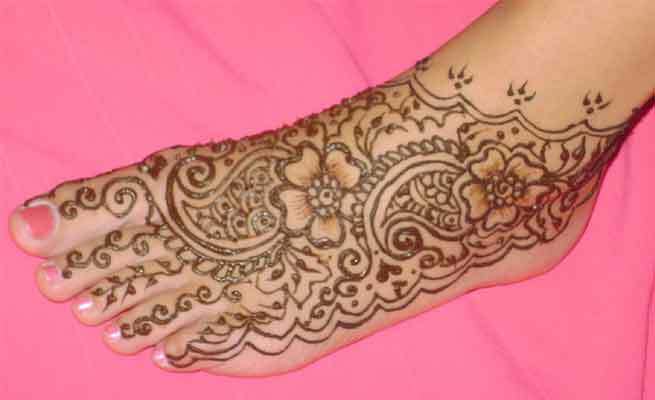 This simple pattern looks great on a bride’s hands and feet. 9. 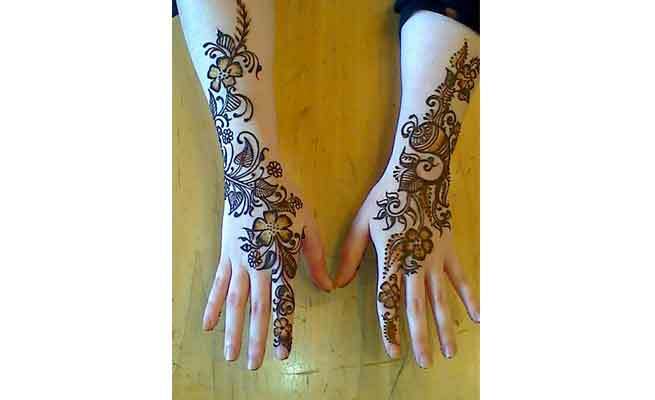 If you want an Arabian pattern on back side of your palm, this henna pattern can be a good choice. Adorn your rest of the fingers with attractive bridal rings to exhibit an appealing and clutter-free henna pattern. 10. A shaded Arabic pattern can be made in a jiffy. It’ll fill your hand as well as bring the needed grandeur. 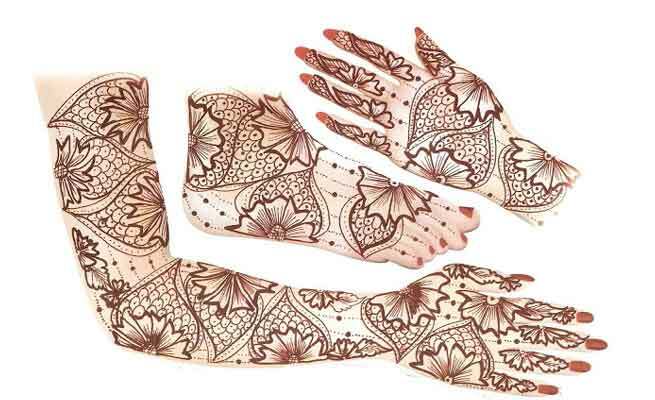 Go for this pretty henna pattern, if you have kept lesser time for mehndi designing in your marriage.